Thank you for your interest in working for Lookout Mountain Conservancy. Lookout Mountain Conservancy is not hiring at this time. We are always looking for great volunteers. Read how past volunteers have contributed and check out our volunteer opportunities for ideas on how we can work together. Join us and leave your mark on the Mountain. Lookout Mountain has been a part of Lydia McWilliams’ life for 20 years, since the time her parents purchased a home and chose to raise their family on the mountain. Three years ago, when Lydia left town for Baylor College, she didn’t realize how much she would miss the Mountain. She contacted CEO Robyn Carlton last spring, and asked if there was something she could do. Her timing was serendipitous. Just that week, Robyn had posted an announcement with local colleges, in search of a summer intern. Thank you, Lydia for leaving your mark on the Mountain and on us. 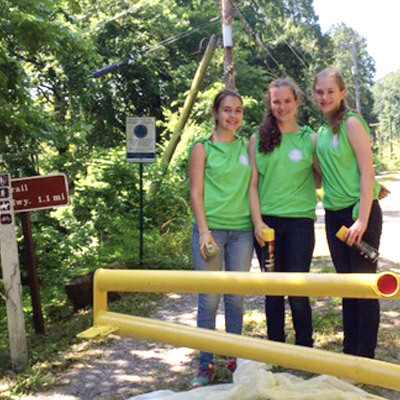 For information on Lookout Mountain Conservancy’s Summer 2017 Internship opportunities, contact heidi@lookoutmountainconservancy.org. Three years ago, three friends, Dawson, Ryan and Ellie, pulled up at the Old Wahautchie Pike parking lot ready to volunteer for trail work on the mountain. They have returned every summer since. Always prepared for a full day’s work, they arrive early in the morning, pitching in wherever needed: cutting back forest overgrowth, hauling rocks, identifying and destroying invasives and creating a sense of teamwork in playing games with our many youth volunteers. Thank you Dawson, Ryan and Ellie for three years of your muscle on the Mountain. 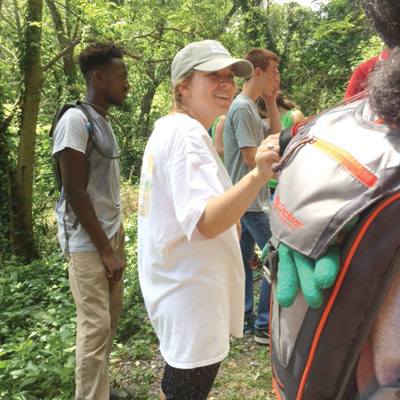 Every day there are high school students waiting to join our conservation programs, families wanting to save their lands and miles of trails to be maintained. Help us grow our community impact. If you would like to sponsor an internship or staff position, please email or call Robyn Carlton, CEO, at 423-424-3882. 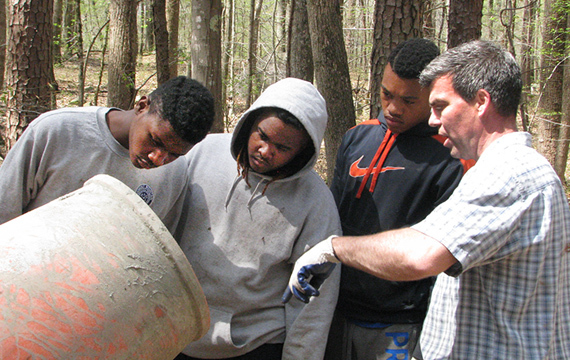 Work on the mountain provides life-skills for our participating interns.